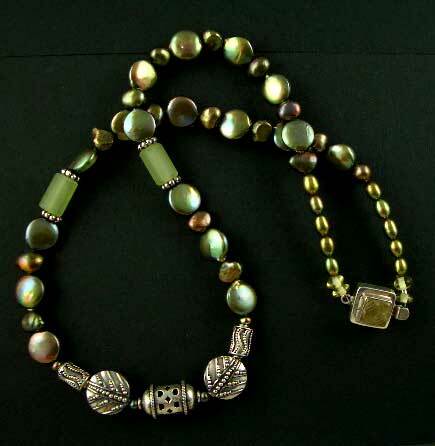 NK6476: Metallic green freshwater pearls, Bali Hilltribe silver, and an artistic vintage sterling silver clasp with a clear gemstone center combine to make this 23 inch necklace a great choice for wearing something different. 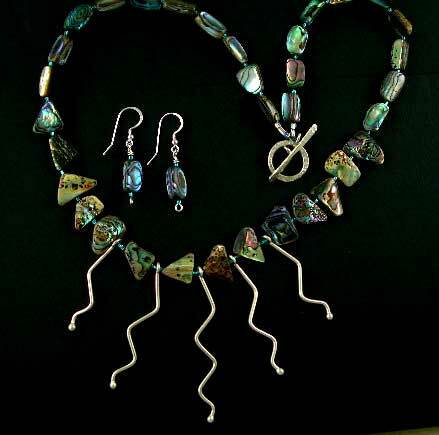 NK6513: Lovely abalone and hand-formed Bali hilltribe silver is shown here. Necklace is 21 inches. Toggle is sterling silver.